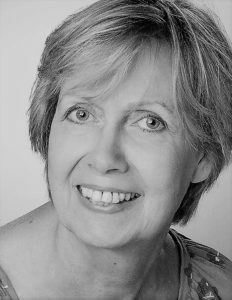 It is with deep regret and sadness that we have to inform you of the passing of Angelika Gutge-Wickert on Monday, 6 February 2017, after long-term illness. Angelika became a member of the German Association of Homeopathic Physicians (Deutscher Zentralverein homöopathischer Ärzte, DZVhÄ) in 1982. She joined the executive committee of the state association Landesverband Berlin-Brandenburg and was actively involved in the further education of homeopathic physicians. From 2003 to 2011, she held this office on the DZVhÄ federal executive board. She was a profound expert within the national and international scene of homeopathic education and decisively shaped the development of the “Homeopathy Diploma” (Homöopathie-Diplom des DZVhÄ). It was Angelika who established the constant further education group of the DZVhÄ, a group of experts from all over Germany to discuss and further advance homeopathic training – the “Lecturer’s Handbook” (Dozentenhandbuch) is only one of the many vivid results of their work. She also guided the development of the curricula for the continuing homeopathic education requirements which was adopted by the German Medical Chamber, and she largely determined the contents of the new further education regulations. 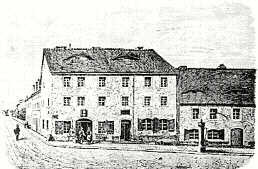 Being a pharmacist herself, Angelika took a particular concern in the solid education of homeopathic apothecaries. She was involved in the development of the special contracts with German health insurances and, on this occasion, published a book on “Homeopathic Consulting Competence for Pharmacists” (Homöopathische Beratungskompetenz für Apotheker). After her term of office on the DZVhÄ executive board Angelika significantly contributed to establishing the Homeopathic Society of Homeopathy (Wissenschaftliche Gesellschaft für Homöopathie, WissHom). Since 2006 she organised the congress “International Coethen Exchange of Experiences” (Internationaler Coethener Erfahrungsaustauschs, ICE) which she headed with enormous expertise and proficiency. Angelika’s life was characterized by her exceptional commitment to homeopathy. 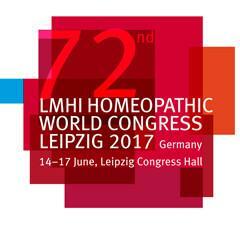 As one of her final responsibilities she took over the presidency of the LMHI Congress 2017 in Leipzig and began to prepare the scientific programme and to select the speakers with great enthusiasm. The congress will bear her mark! Angelika and I got to know each other in 2009 when we visited the LMHI Congress in Warsaw together where she introduced me to the various committees. Many more LMHI Congresses followed thereafter and we explored many countries together. I look back very fondly on these common journeys. We will miss her very much – in our work for homeopathy but also personally! We are honoured and fortunate to have known Angelika and pass on our condolences to her family. We wish them all the best and strength in this difficult time.